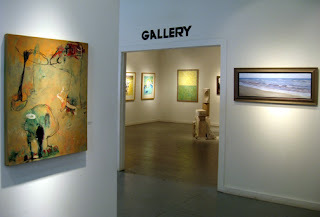 The artists of Gallery 80808/Vista Studios have hung a beautiful exhibition of recent work for the annual Vista Lights celebration. 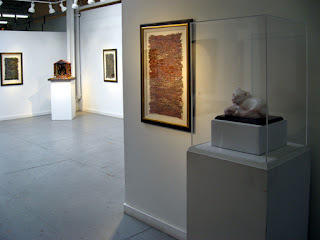 The Thursday night reception was marvelous. 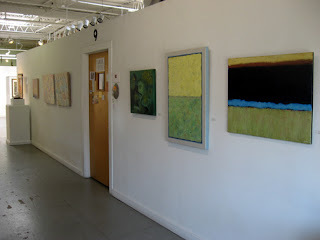 The show will hang through November 27. 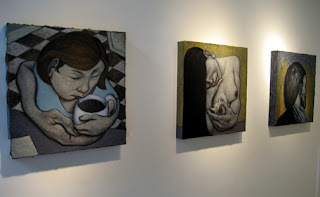 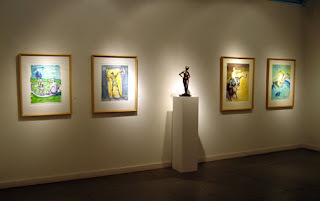 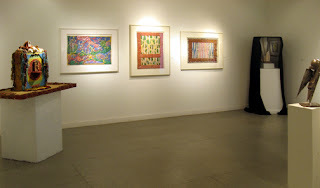 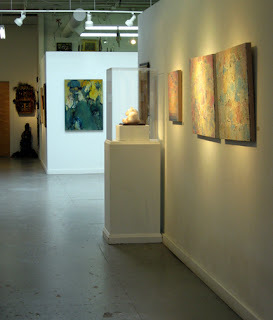 The gallery is generally open throughout the midday as well as in the late afternoon and early evening…basically, whenever artists are working in their studios. 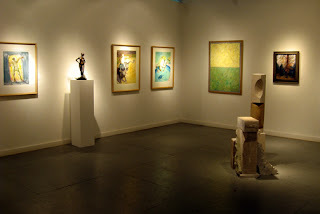 It is always a good idea to call (803) 252-6134 before venturing out…but, if you are in the area, please just drop by. 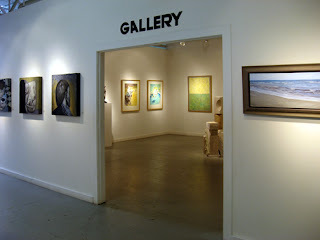 To learn more about Gallery 80808/Vista Studios or any of the artists working there, please visit www.gallery80808vistastudios.com. 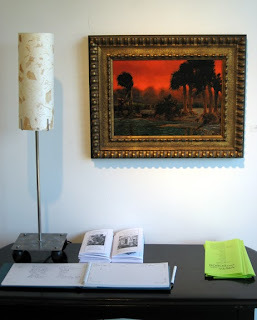 When visiting the gallery, please sign one of our guest books with your email address. 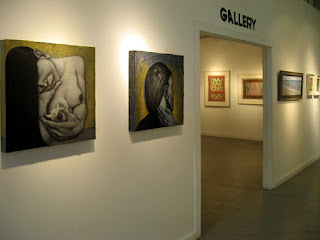 This will add you to our list for cyber invitations to upcoming art events at Gallery 80808. 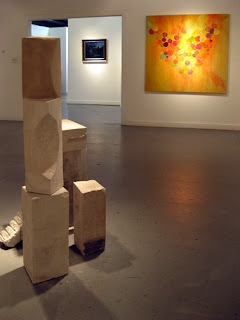 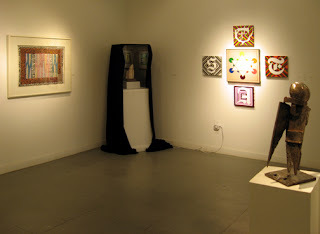 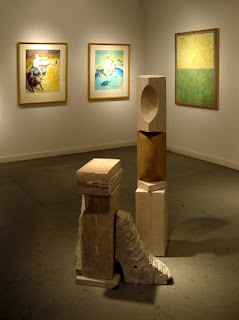 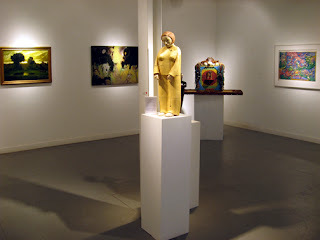 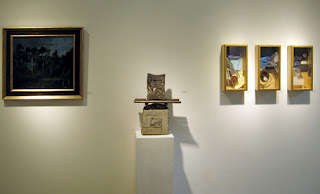 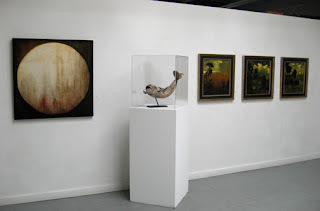 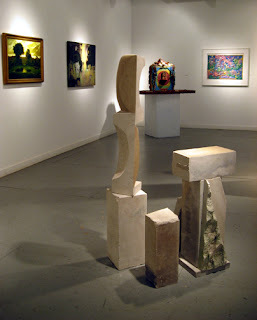 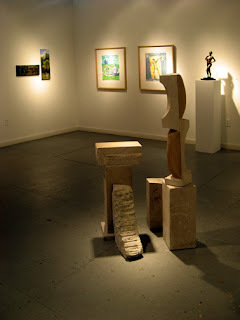 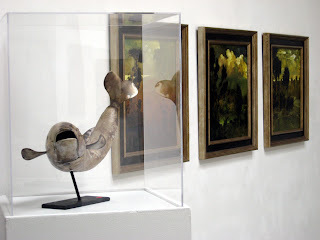 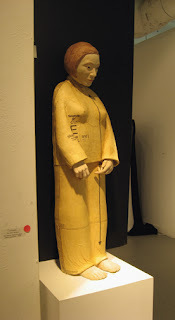 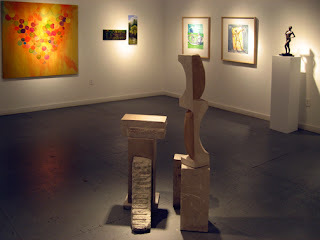 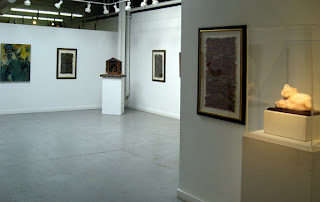 (Above: Sharon Licata’s sculptural assemblage stand in the foreground. 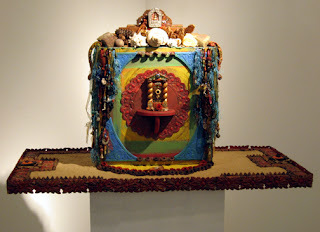 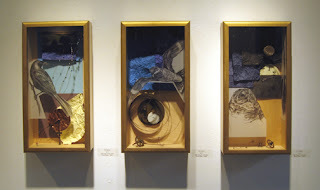 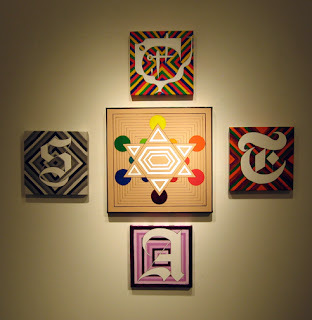 Heidi Darr-Hope’s mixed media altar is behind. 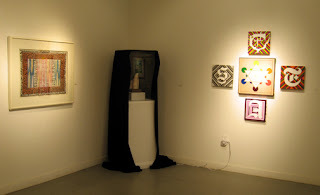 To the right one of Heidi’s fiber pieces. 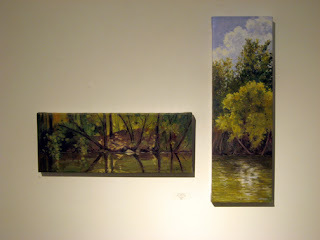 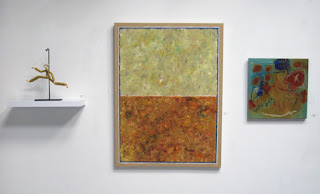 To the left hangs an impressionistic oil by Stephen Chesley beside a non-objective oil by Laura Spong. 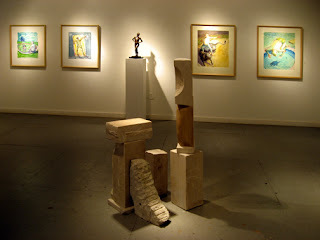 (Above: This view to the atrium includes three fiber pieces by Susan Lenz, a marble cat by Sharon Licata, and a mixed media altar by Heidi Darr-Hope. 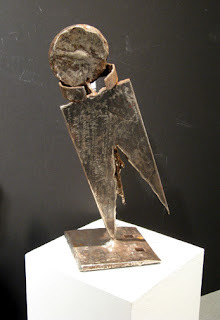 Below is a welded sculpture by Stephen Chesley.